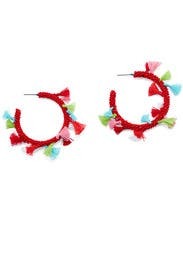 Multicolored tassels turn up the heat on these spicy red beaded hoops by Area Stars. 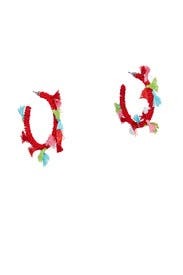 Red seedbead hoop earrings with multicolored tassel accents. Post backs for pierced ears. 2" long.